LG has officially unveiled the new 8.3-inch G Pad ahead of its upcoming presentation at IFA this week. This actually is the second announcement of the tablet, but the first to include any major details. LG released a video last week that showed off some of what to expect from the 8.3-inch slate, and we believe even more information will be announced the presentation at IFA in Berlin this week. Some of the specs we can expect from LG's first tablet in two years includes a 1.7GHz Quad-Core Qualcomm Snapdragon 600 processor, 2GB of RAM, 16GB of internal storage, a 4600mAh battery, a 1920 x 1200 WUXGA display and all of it will be powered by Android 4.2.2. The device is expected to roll out over the rest of the year as we head in to the all important holiday shopping season. The full announcement will come at IFA, and we'll be there to bring you all of the coverage of the device. SEOUL, Sep. 1, 2013 — LG Electronics (LG) today announced the LG G Pad 8.3 tablet, the latest addition to its G Series lineup of premium mobile devices. The all-new LG G Pad 8.3 boasts the first Full HD display on an 8-inch class tablet, a unique user-experience and wide range of connectivity features. 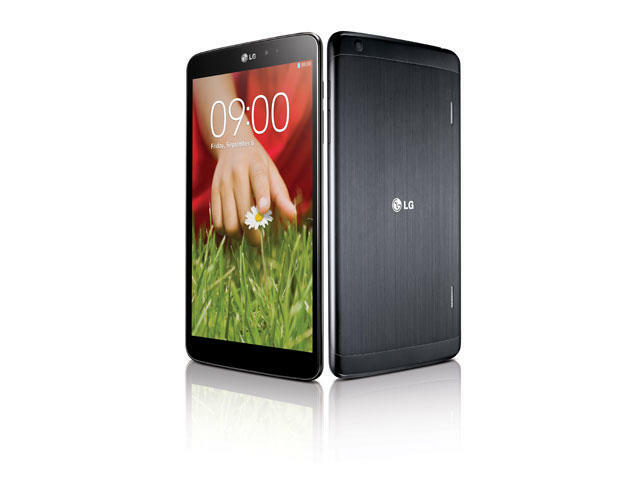 Set to officially debut next week at the IFA 2013 trade show in Berlin, the LG G Pad 8.3 builds on the recent launch of the LG G2 superphone, reinforcing LG's commitment to leadership in advanced mobile devices through its premium G Series products.